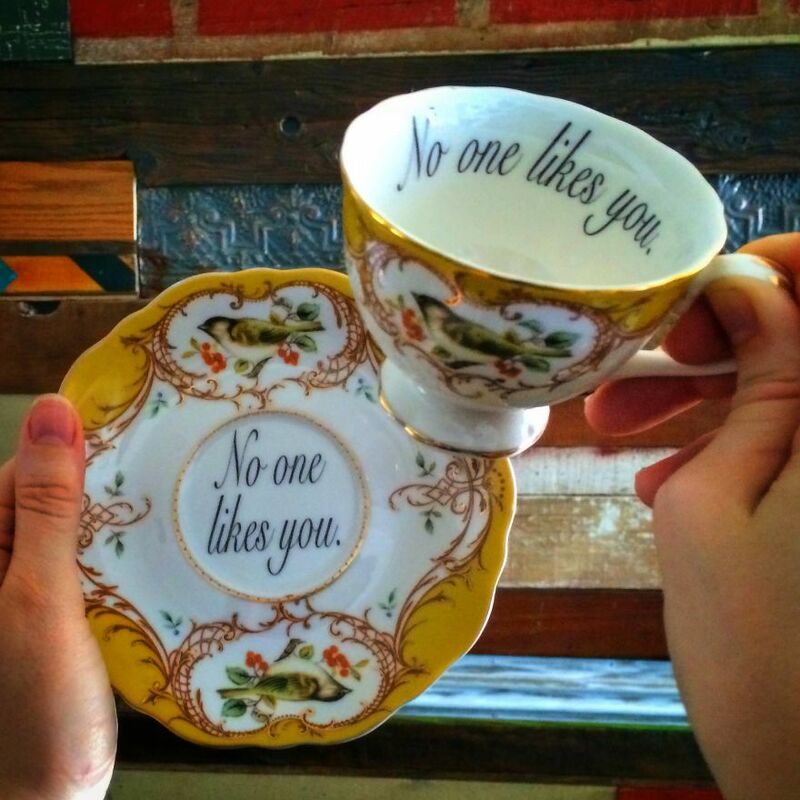 This afternoon I am hosting a tea party for my least-liked acquaintances. 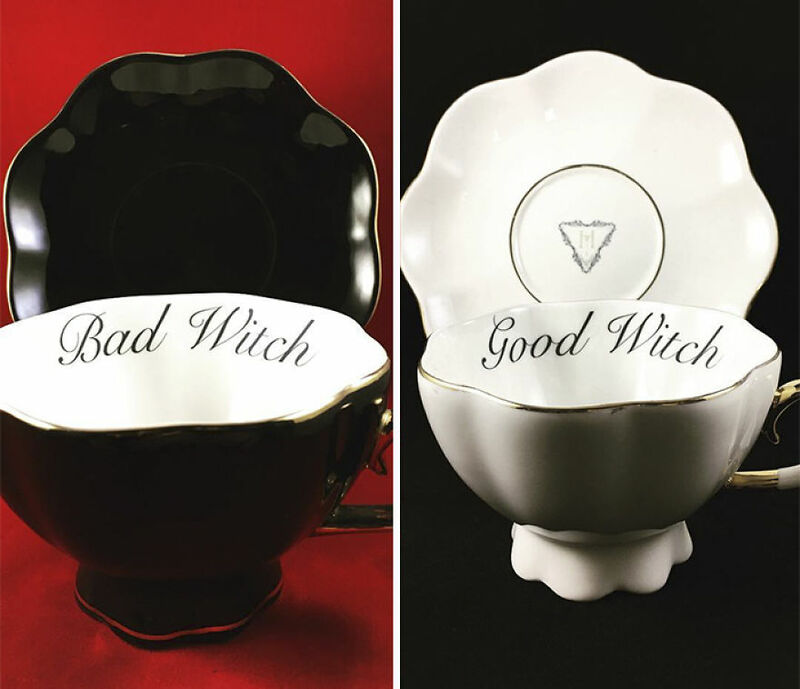 I think some women would relish being called witch or bad witch. The f off one was asking kindly, as in would you please F off. Such beautiful cups - I think I'd like a set to save for special occasions, oh I mean people. Well, I believe they’ll think you adore them! I love these. I've seen other similar ones, including one that reads "Please, go die." 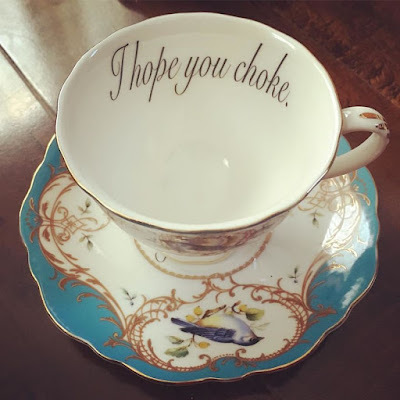 At least they said please. 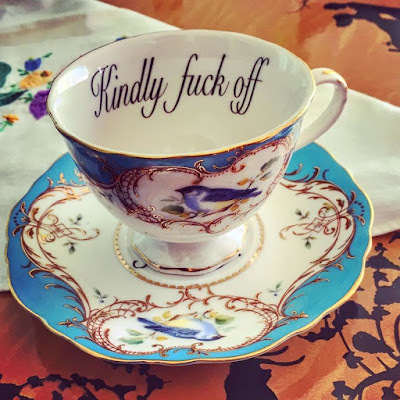 I love the contrast of the formal teacups with the nos to polite sayings. Thanks for the laughs Hermione. i love these! 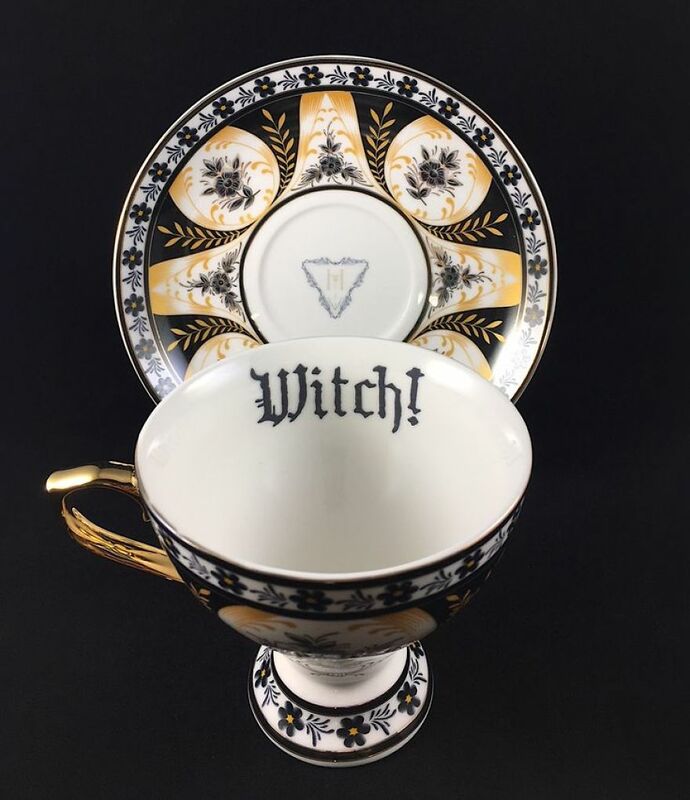 get me a set!